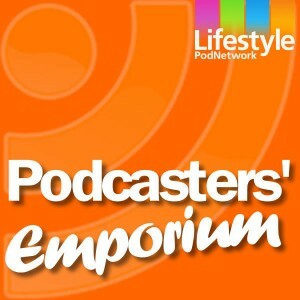 Podcasters’ Emporium is a how-to show for existing and aspiring podcasters. The purpose of the show is to help you create better sounding podcasts. We do this by demonstrating tips and techniques, and showcasing products and services that make podcast creation more sophisticated and listenable. Podcasters’ Emporium covers everything from technical production, and software use, through to hardware selection, marketing and community building. Presented by podcasting veterans Dave Gray and James Williams this is one podcast you will not want to miss. Our full show list is available on our website at podcastersemporium.com.